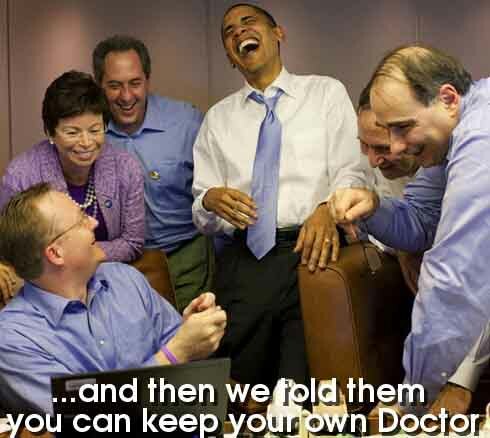 The Demos were sure that ObamaCare would be instantly popular. And for the few doubters among them, they assured them that popularity would grow as the first benefits kicked in last summer. According to the latest Kaiser Family Foundation poll, 42 percent of Americans hold a favorable view of the law while 46 percent view it unfavorably. This is a slightly drop from April of last year when 46 percent viewed the law favorably and only 40 percent viewed it unfavorably. Here is the strategy team celebrating their victory last year. Caption provided by some wise guy.